Recipe from Food Fun Family, posted with permission. This past week, my 10-year-old decided that he wanted to learn how to make kettle corn, so he did what he always does when he has a question about how to make or how to do something. If I haven’t mentioned it before, this kid loves to learn how things work. He is ever-curious and ever-learning. He brought me into the kitchen the other day and told me how to make kettle corn. He can be demanding sometimes. He also knows that he still needs supervision when he’s cooking, so I had to oblige. It didn’t hurt that I love the sweet and salty taste of kettle corn, and I was curious as well. Honestly, the recipe sounded too simple, and I doubted that it would work very well, but I went along with it. I figured that the experience for AJ was worth risking half a cup of popcorn kernels, a little bit of oil, and a little bit of sugar. I never would have guessed that it would turn out so fabulous. 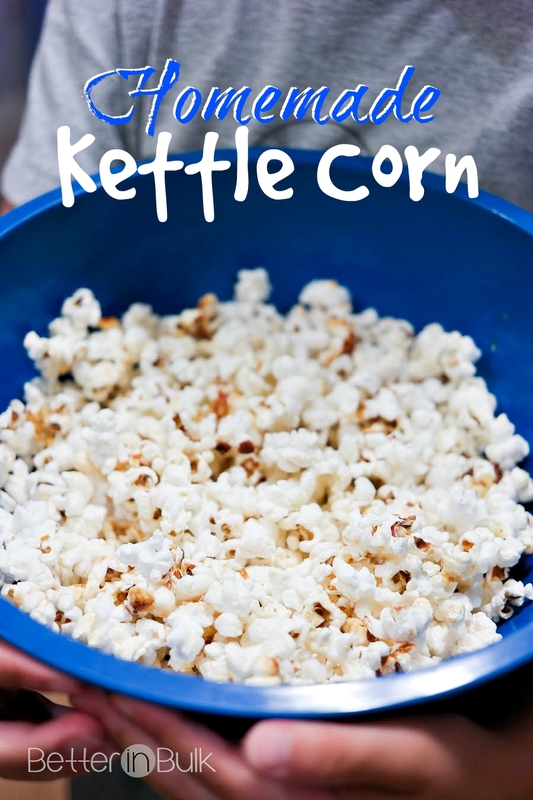 Kettle corn used to be one of those things that I only enjoyed at the amusement park, but now that my son has taught me how easy it is to make at home, we literally haven’t stopped making it. You’ve got to try this easy and delicious recipe! Heat a 3 quart pot over medium-high heat. Add sugar and oil and stir. Pour popcorn kernels in the pot and continue stirring until the first kernel pops. Once kernels begin popping, cover the pot with a lid. 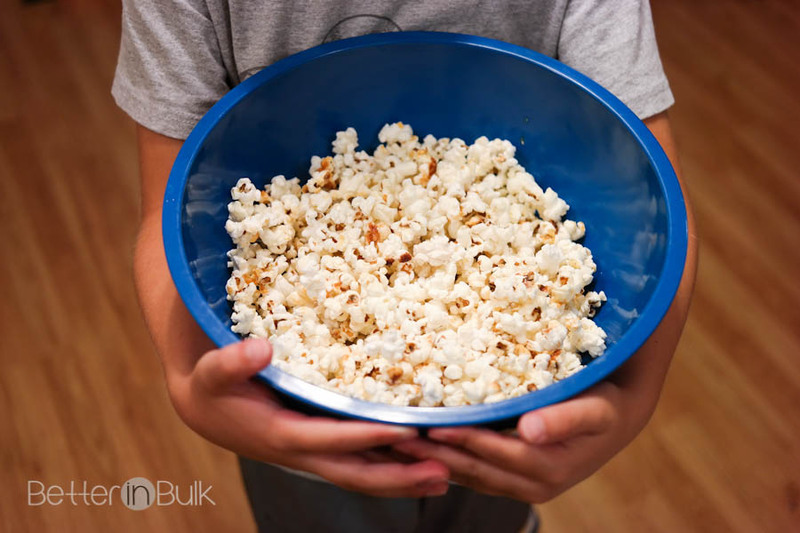 Shake the pot once or twice a minute so that your popcorn doesn’t stick. When popping has slowed down (but before it has stopped), remove the pot from the heat and let it sit. Don’t remove the lid until popping has stopped. Pour popcorn into a bowl and sprinkle with salt to taste. Enjoy warm! Food, Fun, and Family – that sums up what we’re all about! Learn more about her on Food Fun Family.